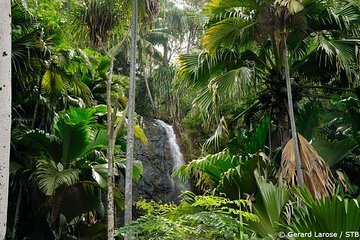 Explore the Vallee-de-Mai Nature Reserve on this comprehensive half-day tour from Praslin Island. With guide leading you through the reserve on a carefully curated itinerary, you'll be sure not to miss a thing, from the old-growth primeval forest to the Coco-de-Mer palm trees. Learn about the UNESCO World Heritage Site's flora and fauna through guided commentary as you walk. Minimum age is 02 years.